When it comes to job interviews, every word you say should carry value and every second of the interview should be maximised to your advantage. Knowing how to pitch your achievements and career goals at job interviews is crucial in convincing recruiters that you are the right person for the job. 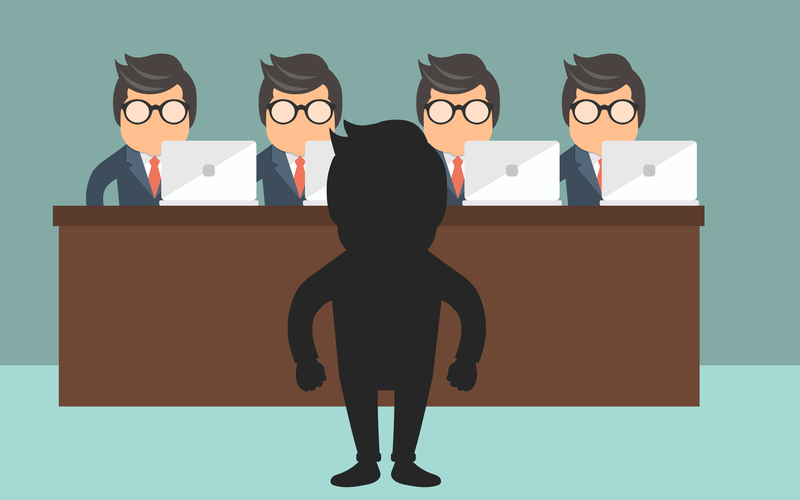 Job interviews typically start with the recruiters asking the candidate for a self-introduction, and less experienced jobseekers often make the mistake of regurgitating personal details that recruiters already know (e.g. age and year of graduation). What jobseekers should be doing is to take this as an opportunity to sell their strengths and skills with a personal pitch. What is a personal pitch? A personal pitch is a succinct introduction of yourself and your background. Creating a pitch outline will not only boost your confidence for interviews, it will also help you focus on the requirements of the job you are applying for, allowing you to specifically demonstrate your fit for the role. Your personal pitch should be concise and impactful. It should be brief so that you capture the immediate attention of your listener, without going on for too long about yourself and risk sounding like you are hard selling yourself. A good way to strike that balance is to use an elevator pitch. Imagine getting into an elevator and you see an influential person who could give you a big break or kick-start your career. How would you introduce and sell yourself to them in the 30 to 60 seconds it takes for the lift to reach the ground floor and leave them intrigued to hear more? Introducing yourself may sound incredibly simple, but condensing all of your life accomplishments into a short statement while making it sound interesting and under the pressure of being scrutinised by your interviewers is no easy feat. Here’s a breakdown of the nitty-gritty of developing a knockout personal pitch. Before you start listing down your strengths and skills, you need to know how to describe the area of work you are excited about and the type of job you want to pursue. You will need to research on the typical job description and scope of the role you are interested in so that when you describe your ideal job in your pitch, you do not end up talking about a role that the prospective employer cannot possibly offer you. Make a list of everything you’d want a prospective employer to know about you, such as your qualification, skills, accomplishments and work experiences that are relevant to your job target. You need to be selective so scrap anything that’s not going to showcase your fit for the role. Think about your professional or personal experiences at work or at school. Then, consider the personality traits and skills that you can showcase from these experiences. Pick out the ones that match the selection criteria and write them down. Keep editing this list of traits and skills until you are down with about five bullet points or sentences that will serve as an outline for your pitch. Your points should showcase your strongest skills and experience, and they should be the most relevant to the job. Once you’ve got your selling points listed down, it’s time to put them all together. As a rule of thumb, 75% of your personal pitch should be a brief run-through of your academic qualification (make this detail as short as possible) and work history – highlighting your key skills and top achievements or experiences. The remaining of your pitch should include an explanation of why you want to work for the prospective employer and the career goals you could achieve with the role. Be sure to rehearse your pitch both by yourself and with a friend (or two). It might be a little awkward to keep practising the same lines repeatedly at first, but once you’re familiar with the points of your pitch, your delivery will flow more naturally. Don’t forget to get feedback from your friends. They’d be able to point out if you have any nervous habits, are using odd phrases, or missed out any significant details. While it is useful to practise your scripted pitch, it is important to strike a balance between ensuring you’re well-practised and sounding like a robot. A good way to find out if you are using the right tone and pace is by recording yourself or getting feedback from an audience – so once again, do get someone to listen to your pitch. GLOBALFOUNDRIES have a structured training programme encompassing the lifecycle of an employee. New employees or graduates go through a thorough induction / orientation programme to help them adapt to the culture, systems and processes. This is followed by an on-job-training (OJT) programme to ensure new employees are trained and comfortable in their new role.